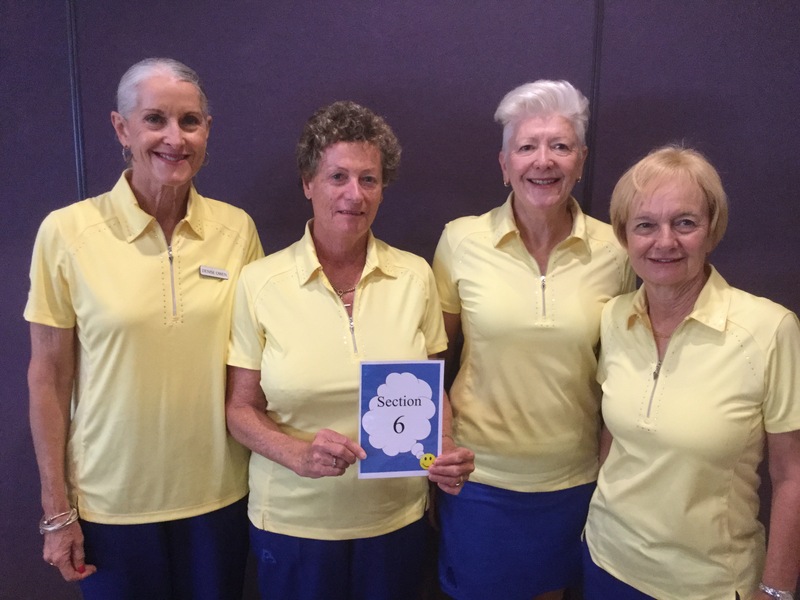 The Mosman team of Denise Owen, Sue Addison, Jenny Hole and Julie Hayden were Section winners at the State Carnival this year for the second year in a row. They won all six matches in Section 6 to progress to the knock-out round of 16, however were not able to repeat their good form in the finals from last year and were beaten in the first round by the eventual runners-up Manning Point. Other North Shore Clubs competing in the Carnival were Belrose, Neutral Bay, Gordon and Warrawee. The Carnival was played in the Illawarra Region where the venues were wonderful – everyone had a great time. There was a real buzz around the greens with the new WBNSW President Maryanne Parcell and all the State officials really putting in a tremendous effort to make all players feel welcome. The Carnival will be back in the Illawarra again next year and we would encourage you all to try to get down there for some terrific bowling and lots of fun!